HCl has released an update to his major Privateer 2 Patch. The initial version fixed crashes, smoothed out audio, improved mouse control, stabilized game speed, added no-cd ability and deinterlaced the cutscene videos. [take a breath] It was even compatible with all version of P2 from DOS to Windows to GOG. The new update gives players the ability to toggle the interlacing, fixes additional bugs and adds even more features. Grab the patch here (500 k zip) and unzip to your P2 folder. The original install files should remain preserved - just run DarkFix.exe to play the enhanced game! And be sure to let HCl know how it works for you at the CIC Forums. - I tweaked the mouse DirectInput wrapper a bit, so it now re-acquires the mouse if it is lost for some reason. That should fix the sporadic mouse freeze. - Added a toggle to enable / disable video de-interlacing (in darkfix_setup). - It's now possible to change the default CD number the game assumes is in the drive when the game starts (in darkfix_setup). The nocd patch will still change the CD automatically if the game needs another CD in order to proceed. 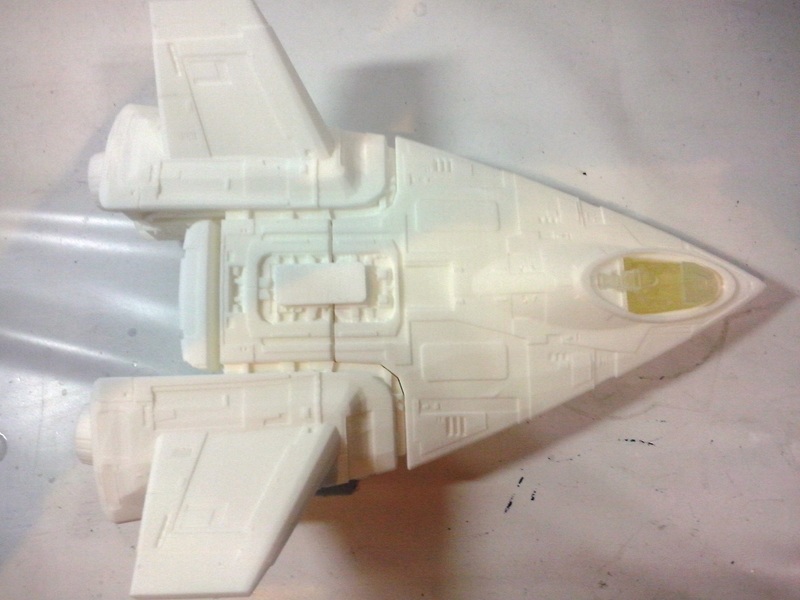 ScoobyDoo has mocked up a new Thunderbolt VII variant based on the concept art for Wing Commander 3. 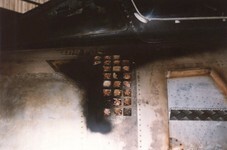 The Heart of the Tiger's famous development wall featured a host of Confed ships that generally appeared more squat with certain rounded features similar to the ships of WC2. Scooby's design builds on that idea and adds some forward stabilizers/pylons as well as his nifty transparent radome assembly. 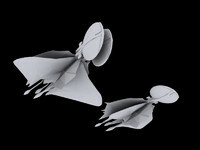 As we know, the final designs ended up having a 'modern' angular look to them. Both styles have diehard fans - which do you prefer? Full Afterburners, Go, Go, Go! Klavs has helped amp up the VK Day festivities with a glorious new Excalibur render. 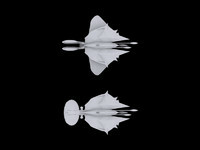 He's taken the famous FLEE image and recreated it from a new perspective. His version has a few additional details that are really nice - you can clearly see the WC3 style flight suit in the cockpit, and a "300" is prominent on the fighter's nose. Excalibur 300 was Blair's ship designation in the Heart of the Tiger novel. The background also gets a bit more detail with a visually satisfying explosive crackle at the Temblor Bomb's ground zero. Who's got a new desktop wallpaper now? The Austin Chronicle has printed a preview of tomorrow's Austin Civic Orchestra concert featuring Wing Commander. 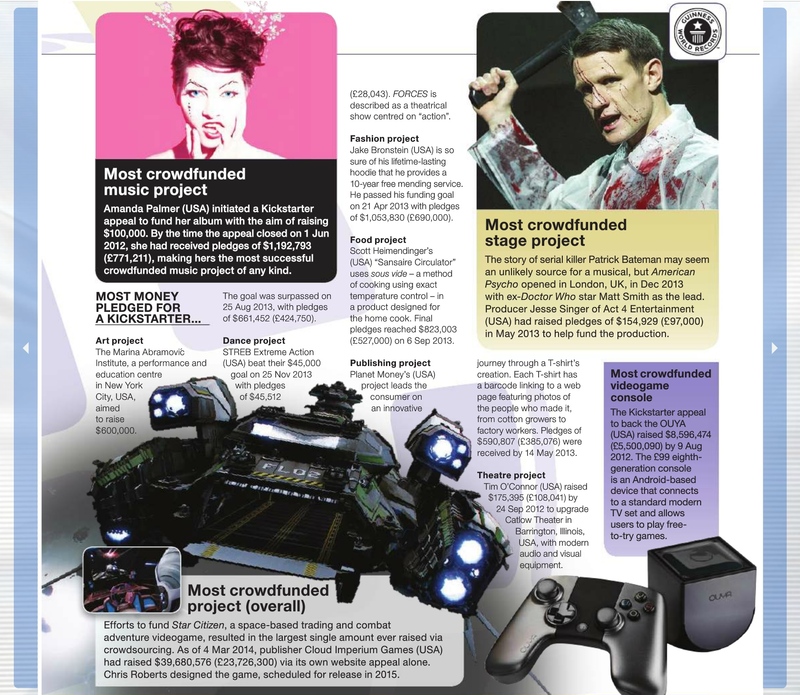 The article notes that the music was originally created locally by George Oldziey at Origin, and this year's successful Kickstarter campaign gets a nod too. 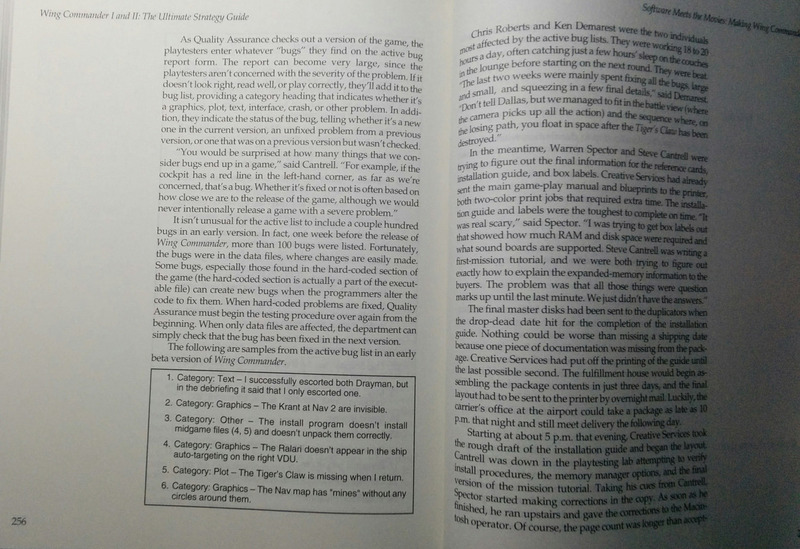 It also points to this really fun writeup from 1995 that talks about WC3's soundtrack and the burgeoning field of video game music. Be sure to check it out! The Austin Civic Orchestra kicks off its season this weekend by embracing the Past & Present. 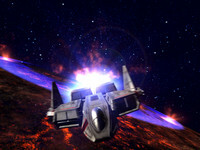 Video game enthusiasts might be interested in the "present" portion of the show with locally composed music from the seminal Wing Commander series. It wouldn't hurt for you to hear some Beethoven either. The "past" half of the show consists of Ludwig van Beethoven's "2nd Symphony." We're told he's a pretty talented guy, but if anything is going to get the kids to the symphony it's a video-game tie-in. 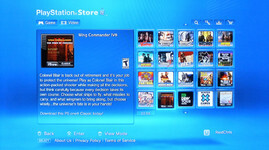 In this case, ACO will play music from World of Warcraft and a Wing Commander Suite. 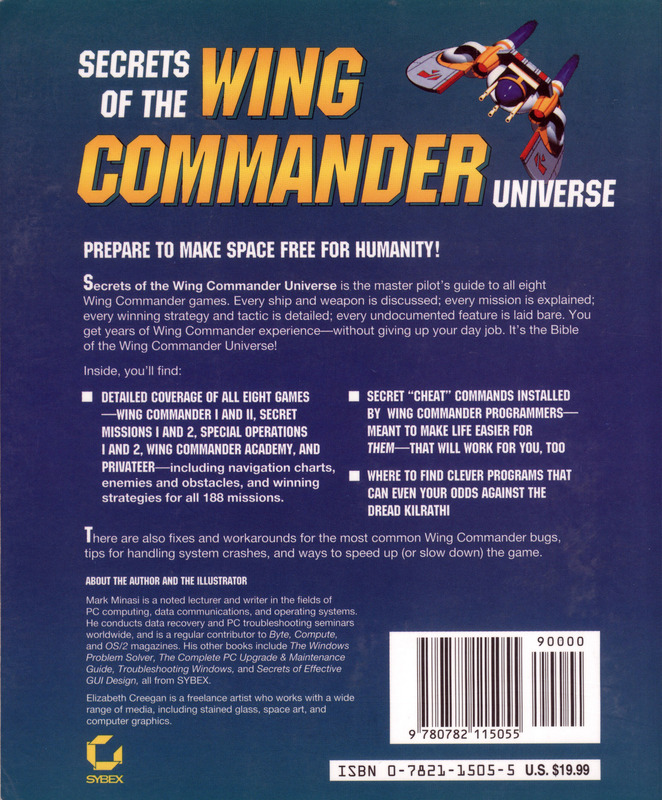 You've likely heard of the former, but Wing Commander might not be as familiar. 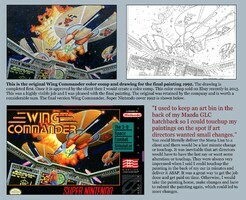 The Wing Commander series developed by Origin put local game designer Chris Roberts on the map in the mid 90s. The spiritual successor to the outer-space dogfighting series, Star Citizen, is currently in development by Roberts with reports of funding over $50 million. Wing Commander III and IV incorporated some of the most cutting edge technology of the time: CD-ROMs, live-action cutscenes (starring Mark Hammill and Malcolm McDowell no less), and the sweeping MIDI orchestration courtesy of local composer George Oldziey. 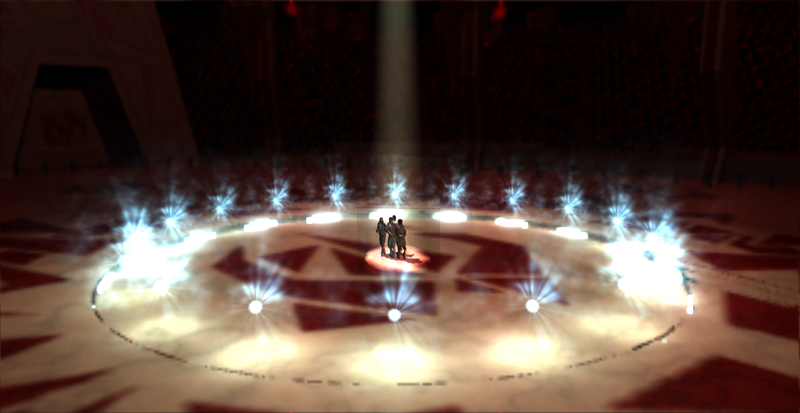 The soundtrack to the game is a testament to the beauty that can be found in technical limitations with MIDI versions of the usual orchestra instruments. This gives the sounds an electronic timbre. It's like aural pixelation. Roberts Space Industries has chalked up another achievement. They've been included in the 2015 Guinness Book as the most crowd funded project in history. They earned the spot with $40 million, but the latest tally is actually $54 million with no end in sight! 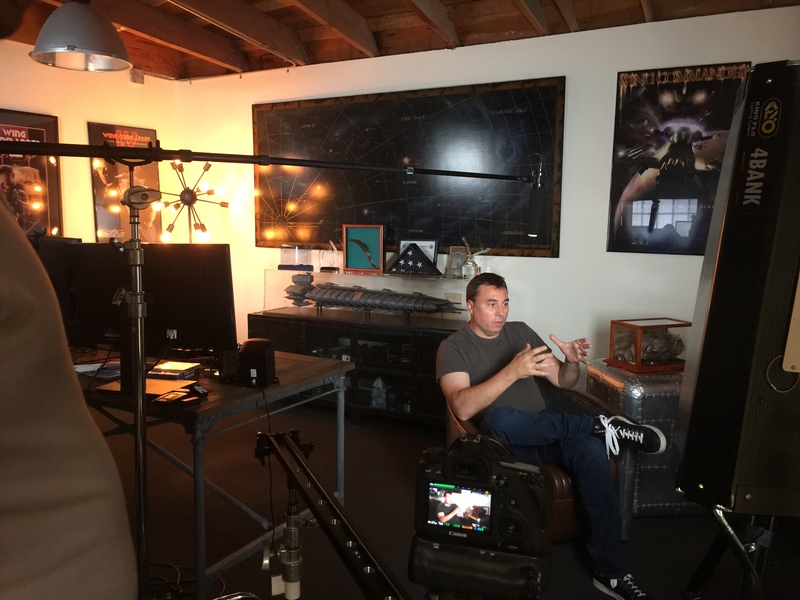 As you can see in the photos below, while Star Citizen moves forward full steam, the team at Cloud Imperium Games has surrounded themselves with plenty of Wing Commander memorabilia in the office to remind them of their roots. Wing Commander in Concert This Weekend! Here's a reminder that George Oldziey's Wing Commander suite will be performed this weekend by the Austin Civic Orchestra. The show will be Sunday, September 28, 2014 at 3:00 PM at the Anderson High School Performing Arts Center. Austinites are really lucky to be so close to this! There will be other video game-inspired music performed, including a selection from World of Warcraft. Order tickets now for $10-12. If you can make it, let us know! George's live album is also coming along well. The orchestration is more than 3/4ths complete now and the project is still on track to record in Bratislava starting October 31. If you'd like to hear a preview, check out the Austin Symphony Orchestra performing a Wing Commander medley at this year's amazing Fourth of July performance! I'm right on schedule, and VERY much looking forward to hearing the music finally played (and recorded) by a great orchestra! As a side note, the Austin Civic Orchestra (not the Austin SYMPHONY Orchestra, which has already performed the Wing Commander Suite) will be performing the suite in a concert on Sunday, September 28th at 3 PM here in Austin, TX. They are a fine ensemble for being an all volunteer organization, and should provide a good performance of the work. If you are in the area that weekend and would like to hear the performance book your tickets now! 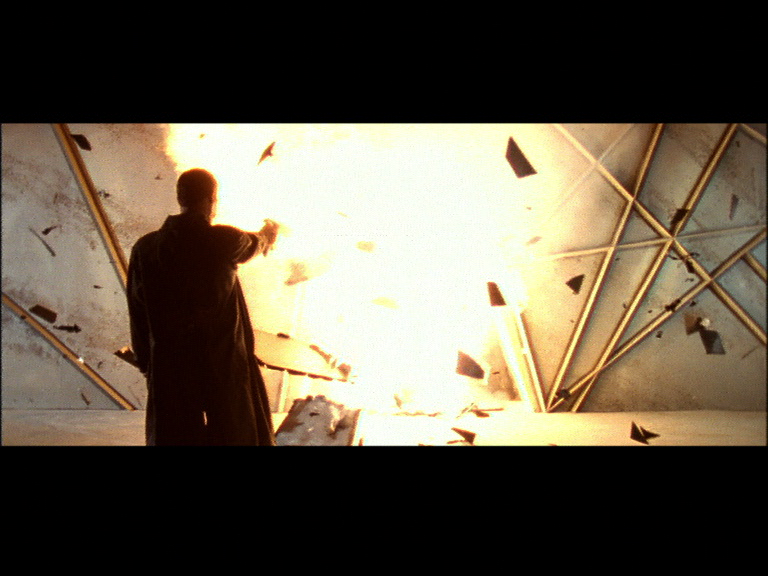 On September 24, 2669, Colonel Christopher Blair launched his successful Temblor Bomb strike on Kilrah. 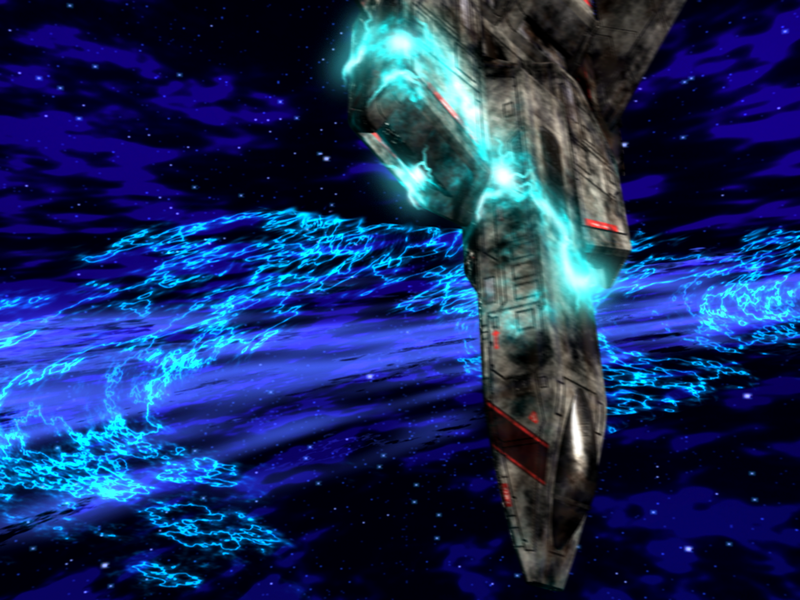 Its resulting blast wave took out the Emperor and Prince Thrakhath's enormous invasion fleet massing in orbit. 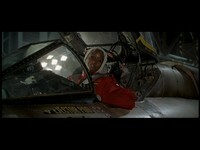 The crown prince himself was also bested in combat just prior to Blair's descent to the planet's surface. 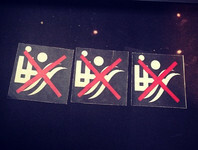 Faced with this unfathomable loss, Thrakhath's chee'dyachee Melek immediately surrendered. VK Day was patterned after VE and VJ Day celebrated on Earth after World War 2. False Colors was the first to give us a name for the event in the WC universe. Also of note, Star*Soldier mentions VN Day, which strongly suggests that some significant victory over the Nephilim was also achieved by the year 2701. 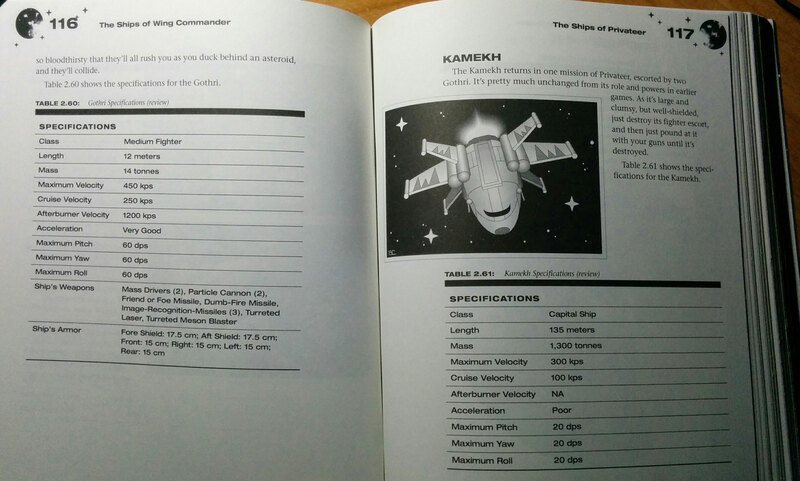 You can read about other major holidays in the Wing Commander universe here. Also don't miss Dundradal's historical comparison between VJ and VK Days here! 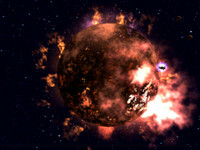 ...Colonel, later Commodore Christopher Blair dropped the Temblor Bomb on Kilrah, destroying the planet. Soon after the Terran Confederation and Empire of Kilrah signed the Treaty of Torgo, know to the Kilrathi as the Treaty of Ko-bar Yagar, on the deck of the TCS Victory in the Torgo system. 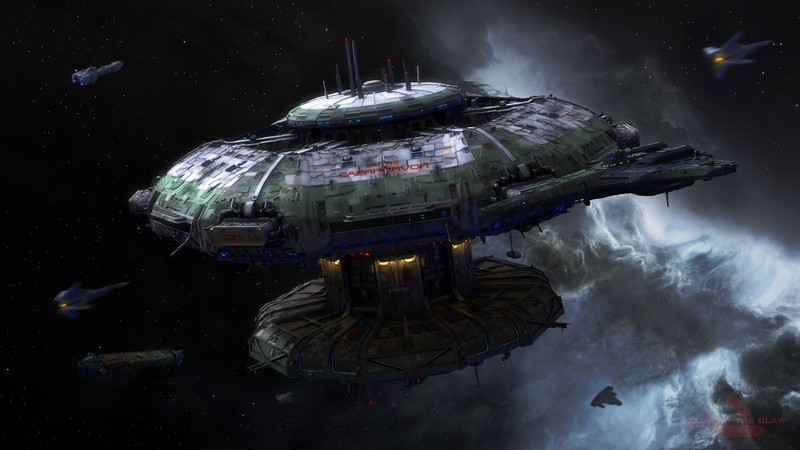 The Kilrathi had actually captured the system from the Confederation following the loss of the TCS Behemoth. Much like the ceremonies on the USS Missouri and an unnamed frontier base, a simple table was the only furniture. Baron Melek, retainer to the deceased Prince Thrakhath, signed for the Empire of Kilrah. Crown Prince Thrakhath had been killed by Christopher Blair during the raid of Kilrah. 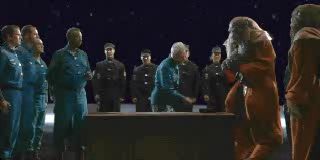 Admiral Tolwyn signed for the Terran Confederation. 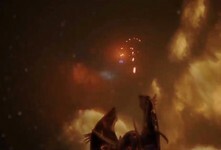 Again the Terrans had a large delegation while the Kilrathi brought only a few. A flyby by four Hellcats took place at the end of the ceremony. The war was over. The Arrow kit build we showed off last week isn't the only new 3D printing project in the works. 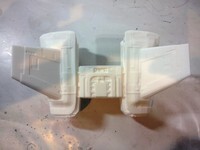 poopnoodle got these miniature Hellcats printed from Sculpteo based on Klavs' designs. 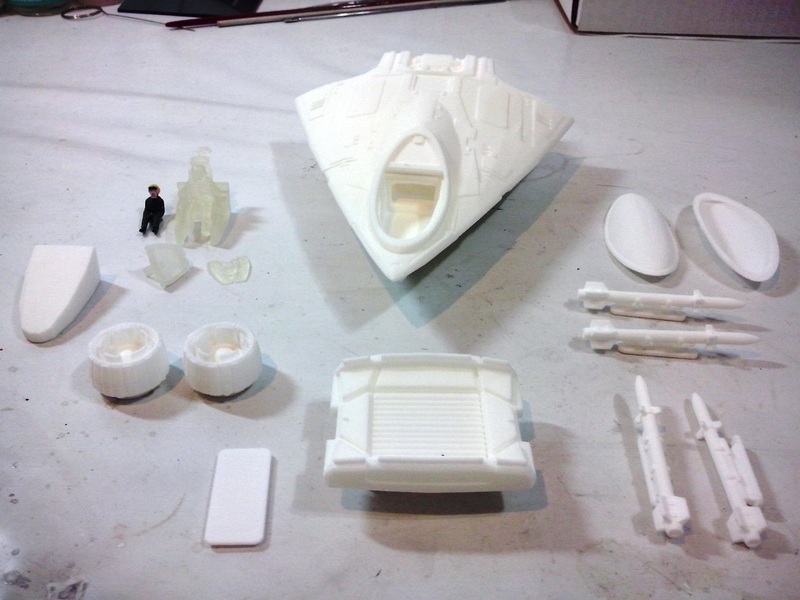 Although the color models are really popular, artistic fans get a kick out of the blank canvas versions. Since this technology is still emerging, there's quite a few issues associated with most options - quality, size and price have a ways to go, but they are improving. Klavs continues to reach out to other companies to explore new options. 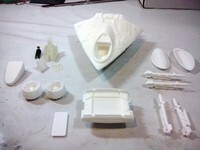 His latest project involves a professional model kit company, but it's a bit spendy. 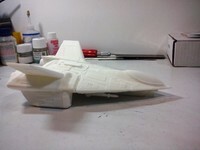 Visit the CIC Forums for details if models are your thing and you'd like to help. Got this email from Fantastic Plastic. Interesting stuff. I have no way to afford any of this, but here are the numbers. A couple of other companies have also responded with similar numbers, but this gentleman seemed most interested. Anybody want to organize a donation program? I'll provide the 3d work, given most of my models are 3d printing ready already. There'll soon be a new way to play Wing Commander in your living room! 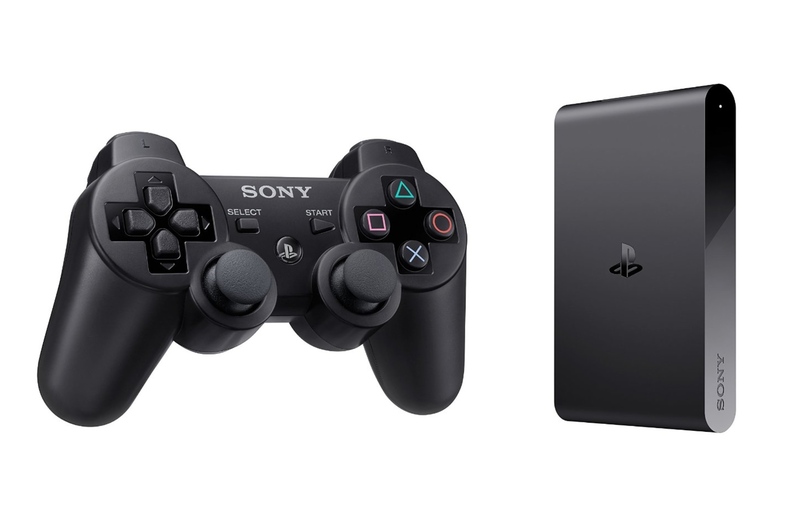 Sony has announced that nearly 700 games will be available for the Playstation TV device when it launches in North America on October 14, 2014. The $99 set top box will be similar to the Apple TV or Amazon Fire TV. None of these devices are actual televisions - rather, they're small set top boxes that stream media to screens and allow access to specifics apps or games. 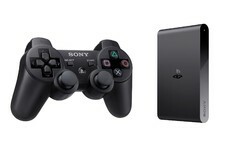 In the PSTV's case, games can be streamed to one television from the Playstation 4 in another room, and there will also be ways to access certain older games directly through the device. 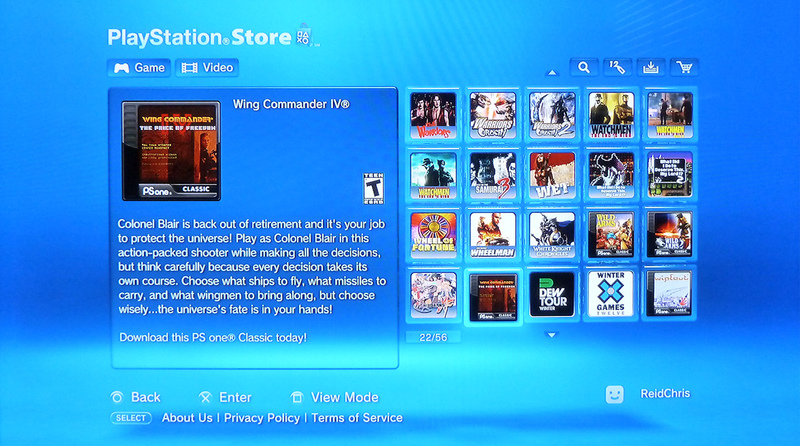 Among the various Playstation One games available for purchase will be Wing Commander IV: The Price of Freedom, which has been playable on the Playstation 3 and Portable since 2009 for about $6. Check out the full list of compatible games here. Is anyone planning to pick one up? Don't forget the memory card - WC4 is 2.3 GB! Whistler tipped us off about another new development related to Piranha Games. GameStar.de was able to get a response from EA Germany that disputes PGI's recent claim to have the license to make a Wing Commander game. This is where things still seem a bit murky. It's possible that the truth is getting mixed up between semantics and translation. Perhaps EA Germany's assertion relates more to overall ownership of the brand rather than the ability to make a particular game. Our investigation still suggests that Piranha probably did work out some sort of deal with EA, but the details are still unknown. You can find the article here or an English translation here. 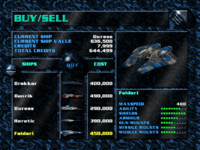 The studio behind Mechwarrior Online and the new crowdfunding project Transverse claims it owns the Wing Commander license. Upon request of Gamestar, EA Germany tells us the statement of the creative directors Bryan Ekman was "incorrect" and the rights to the brand Wing Commander still remain alone at Electronic Arts. However, the studio itself insists currently be in possession of the brand. Company chief Russ Bullock told us on the forums he had nothing to add. They wanted to leave no explanatory statement, or prove the ownership of the brand. In case other headlines got in the way, it's been a fun week for people looking up. To start with, here's a gorgeous shot of the SpaceX Dragon launch this morning. 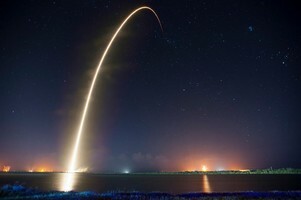 It's the craft's fourth unmanned supply mission to the International Space Station, and it comes on the heels of some exciting milestones for commercial spaceflight. Both SpaceX and Boeing were selected to proceed with development of capsules that will take people into orbit. 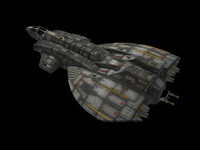 Each company will have the ability to send a seven-person ship up by 2017. Looking out even further, NASA also just recently unveiled an enormous 170-foot tall tool that will be used to build the rocket for future missions to asteroids and Mars. Last, but not least, just minutes ago, NASA's MAVEN mission reached Mars orbit to begin surveying the atmosphere! It should be joined by an Indian Mars Orbiter Mission on Tuesday. 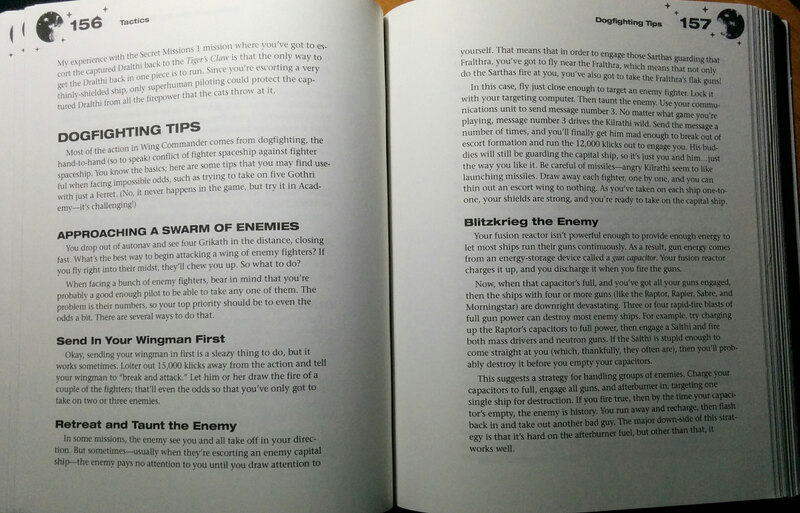 While it's not an official publication, Mark Minasi's Secrets of the Wing Commander Universe is one of the better written game guides out there. 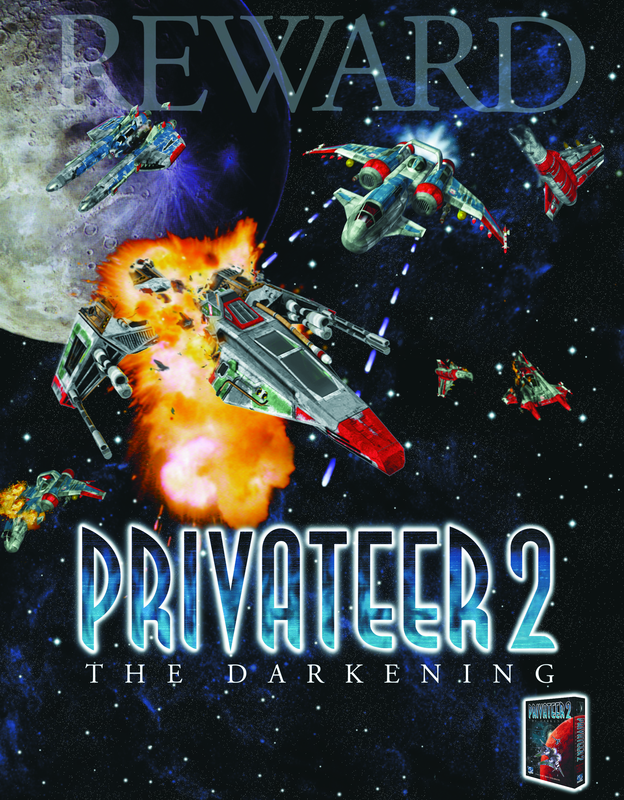 This labor of love was published by Sybex around 1994 and its hefty 459 pages cover every game and add-on up to Privateer, excluding Righteous Fire. Special Operations 1 and 2 were not yet out when the official guide to WC1 & 2 was written, but this book has them covered. 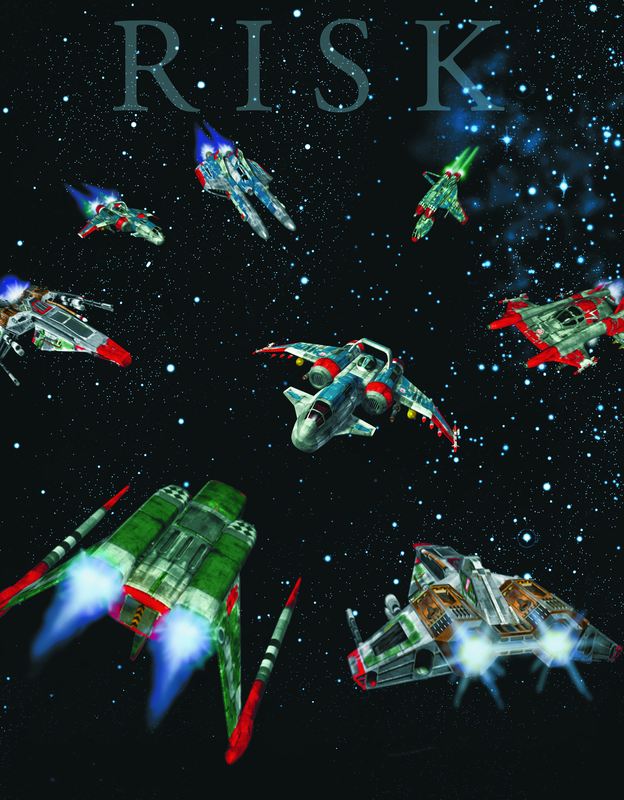 The first six chapters deal with hardware and software issues, background information on the ships and weapons, general flying tactics and strategies, and finally the storyline. 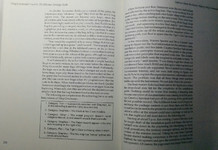 The remaining eight chapters are for mission specifics. Many pages contain stylish illustrations by Elizabeth Creegan. 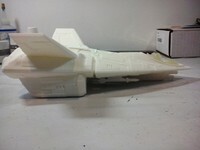 Mlourenco has taken the first steps towards building one of the large 1/72 scale kit Arrows designed by Klavs. 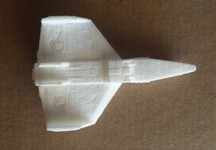 In order to keep the cost of 3D printing down, this design is manufactured in pieces and assembled as a kit. Putting it all together is the easy part - the real artistry comes during the paint process! This will be the second large scale model made, and you can check out the first fully painted spaceframe here. It's really a joy to behold. You can also order your own models at Terran Fleet Supply, which includes both painted and unpainted designs. 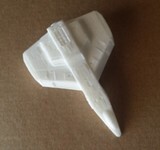 This is a 3D printed Arrow from Wing Commander Game in 1/72 scale. Just received all the parts today. Made by Klavs81 at Shapeways.com. I hope you enjoy the photos. 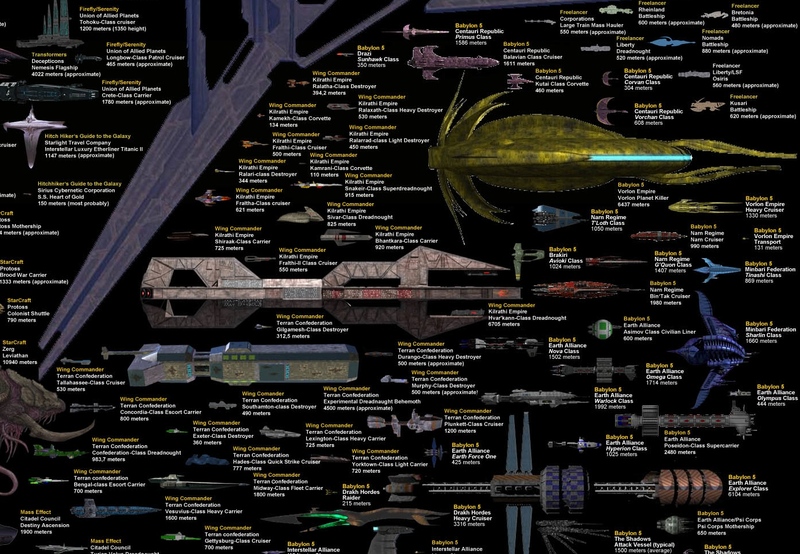 Death noticed that Dirk Loechel's massive sci-fi size comparison graphic has received a "final" update. Although it's possible that the project will never really be complete, the creator believes he's done his last major update for at least a long while. 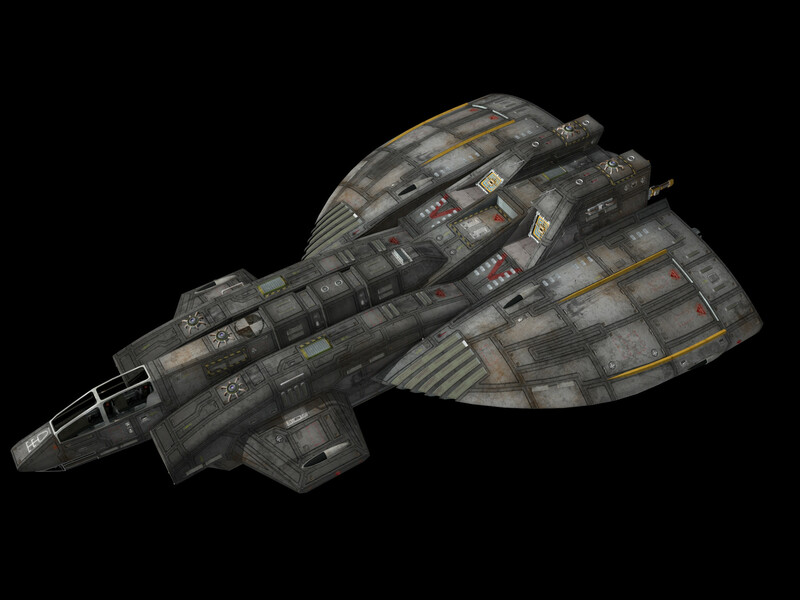 Compared with the last big revision, a number of the Wing Commander ships have been cleaned up with new art. In some cases, fan renders appears to have been used when they're relatively faithful to the games and looks especially sharp. The ships have a more uniform side view now compared to the various angles that originally populated the WC section. 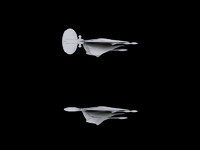 Some Wingnuts have pointed out the Dreadnought length discrepancy, which the author has explained at the CIC Forums. 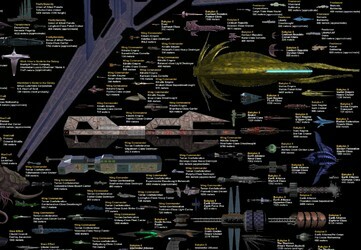 Despite that quirk, it's pretty impressive how he's captured such a variety of Wing Commander ships! The last update. For real this time: This is the final major content update, though if there are issues I'll still fix them. I also haven't forgotten I wanted to vectorize the writing. It's still on the radar. But content-wise, I think that is about all I can put in. Also, I added the ISS. For scale. It's on top, with a yellow frame so it's relatively easy to find. 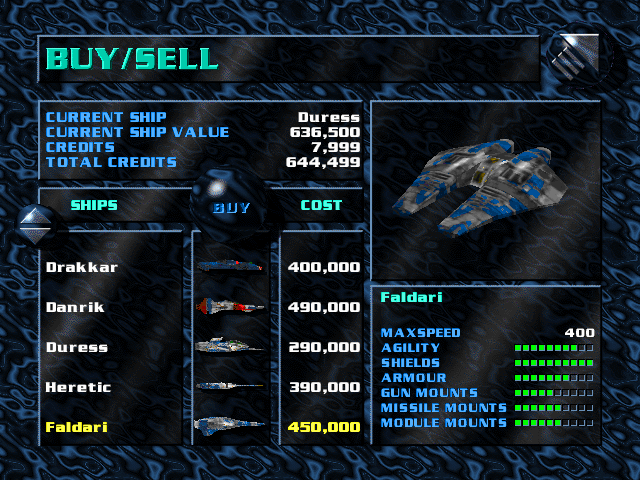 Lots of errors fixed, lots of new ships too. Well, off for now, but I'll be replying in the comments more or less regularly. 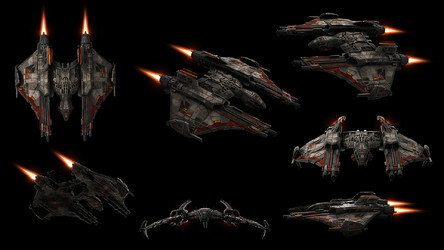 Also added a few more ships and switched the Eternal Crusader for the Legate Class battle barge, which is a class ship and not a unique ship. 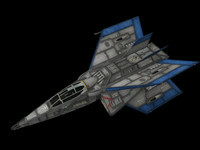 You can download the full five megabyte image here. 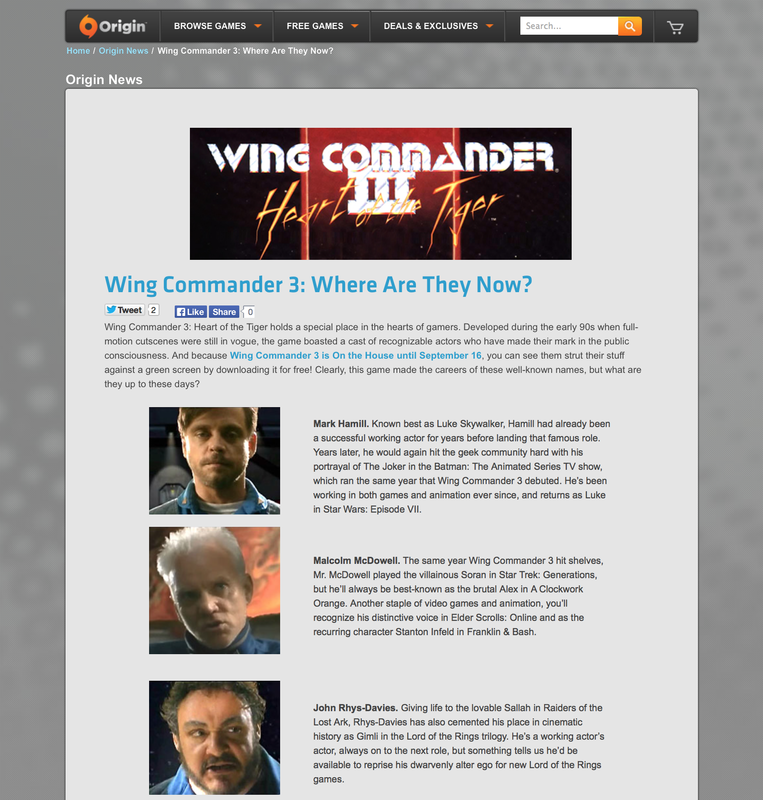 US Gamer has posted a lengthy profile on Wing Commander creator Chris Roberts. It begins by covering his early years learning to program and then details the growth of his expertise and fame at Origin. 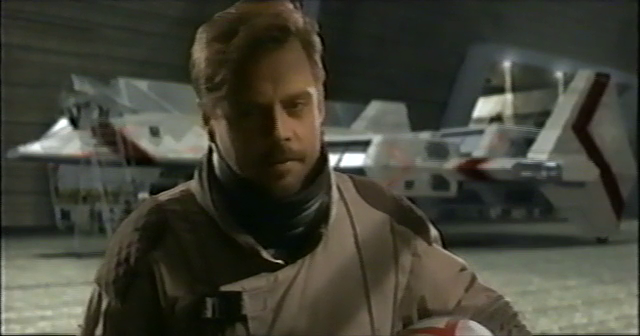 There's also a candid conversation about his decade in the movie business, including his thoughts on the development of the Wing Commander Movie. 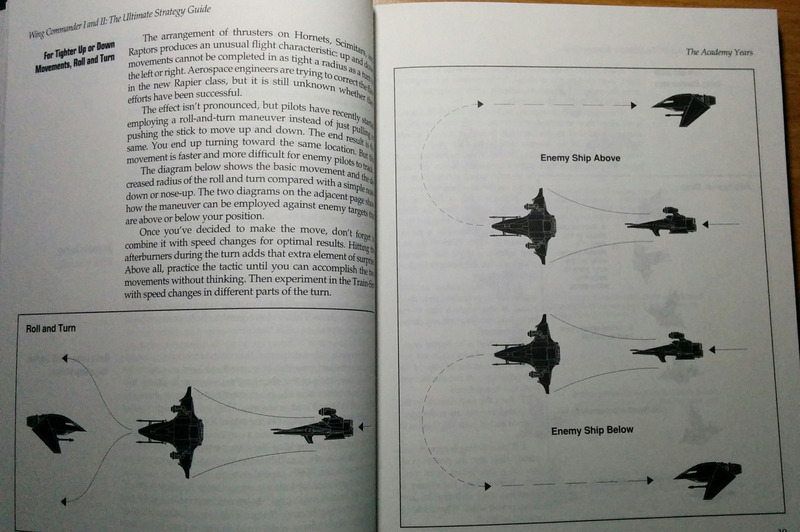 Finally, the author highlights Chris' ideas for the production of Star Citizen and the keys to its success. It's pretty easy for the gaming media to gloss over everything but WC & SC, so it's nice in this case to see a relatively thorough history here. And double thumbs up for posting a long article without it being split into multiple short pages filled with ads! Read the full piece here. 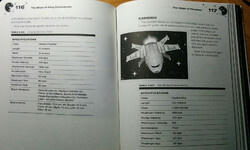 "The day Chris Roberts came in to pitch Wing Commander, was one I will never forget," Garriott tells me, "He had already mocked up the ship launch sequence: running down the launch bay, climbing into craft, closing the canopy and launching into space. It was obvious to all who saw it that this was a winning formula. It was obvious that Chris was a true visionary." 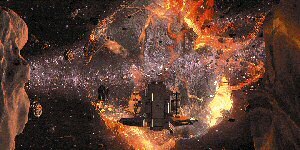 Roberts explains why his idea seemed so complete from the get-go: "Most of the time when you make games you have to tweak and polish, but on Wing Commander we'd done the tech demo, designed all the missions out on paper, and literally the game that shipped was the game that went in first time... The game that shipped was the game I wanted it to be in my head." Besides, Roberts says he's not in it for the money. 'Some' would be nice, but as he says: "I'm not going 'I need a desert island' or 'I need a Bugatti Veyron' or something. I do see a few comments occasionally on articles saying, 'He's putting it all towards his gold-plated Bugatti Veyron'. Not really. The whole point of a Veyron is to go fast, and they've gone out of their way to make sure it's got the lightest materials possible. You probably don't want to put gold on it." But what makes me, personally, confident that Star Citizen will deliver is the fact that the man at the helm, the Mancunian by way of California, gets feedback like this from game development legend Richard Garriott: "Chris is a rare, truly brilliant game designer. I was always shocked to hear his first pitches for a new game. While myself and others would labor to reach a good idea, and then need large amounts of time to refine it, Chris would often show up with a game design far more clear and powerful than I have experienced with anyone else before or since. 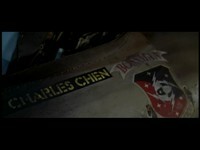 The clarity and power of his ideas means that Chris also attracts strong talents to be around him. 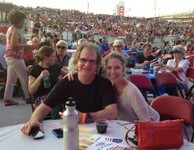 This works as a virtuous feedback cycle, helping to keep his creations and his teams top notch." 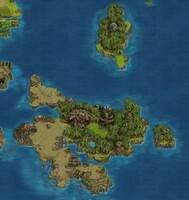 The Ultima Codex has done some further investigation into Ultima Forever's Kilrathi Islands that we shared last month. 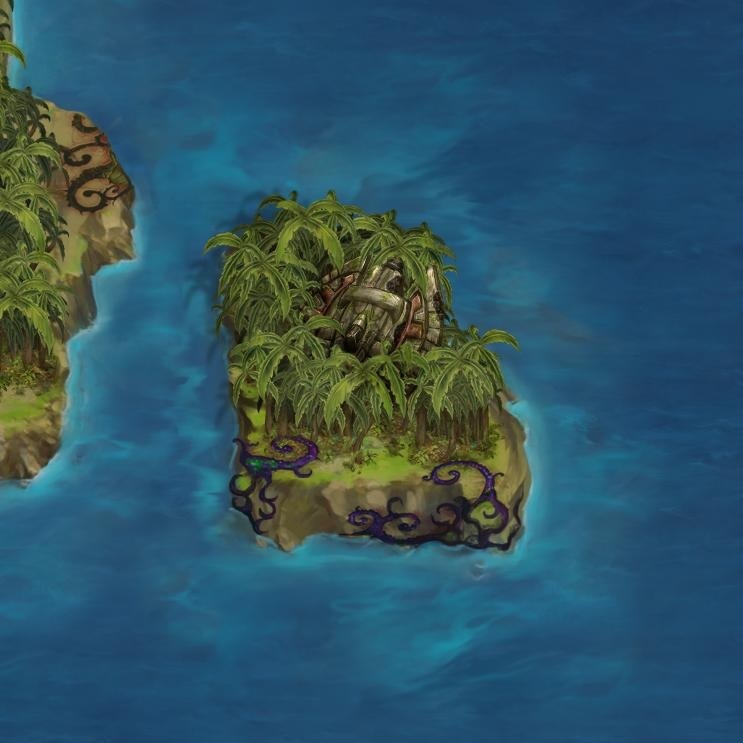 Using clues from the images, they've located the specific area where this exists on the mega sized world map for the game. 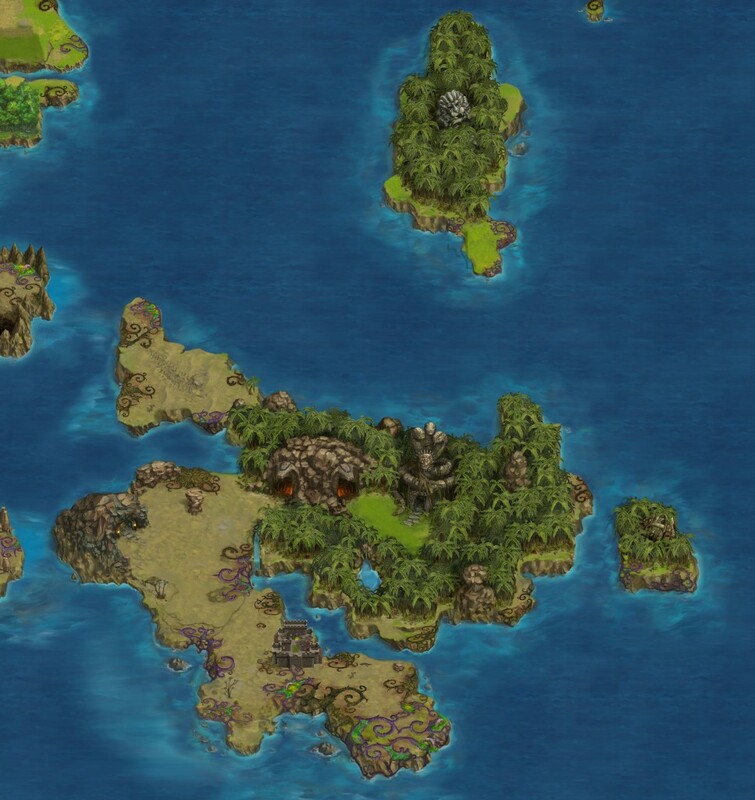 They have also provided some interesting back story about what that region was intended for and how there may not have been a way to visit directly. Readily accessible or not, this is still just a fantastic easter egg! Check out the full writeup by Kenneth Kully here. As it turns out, I had been looking too far to the north. 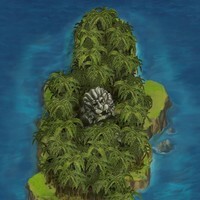 The Kilrathi crash site is due east of Serpent’s Hold, while the Kilrathi monument is situated on the island that should have played host to Buccaneer’s Den: I say “should have” above because, as you can see, there’s no indication of Buccaneer’s Den being on the island, despite the fact that an in-game map of the town is available. But I digress. It’s important to note that none of these locations is accessible in Ultima Forever by regular means. Indeed, I’ve only heard of people reaching Serpent’s Hold by means of some manner of game glitch which has resulted in their Avatar’s location being shifted thereto, and this glitch has not proven to be particularly replicable. 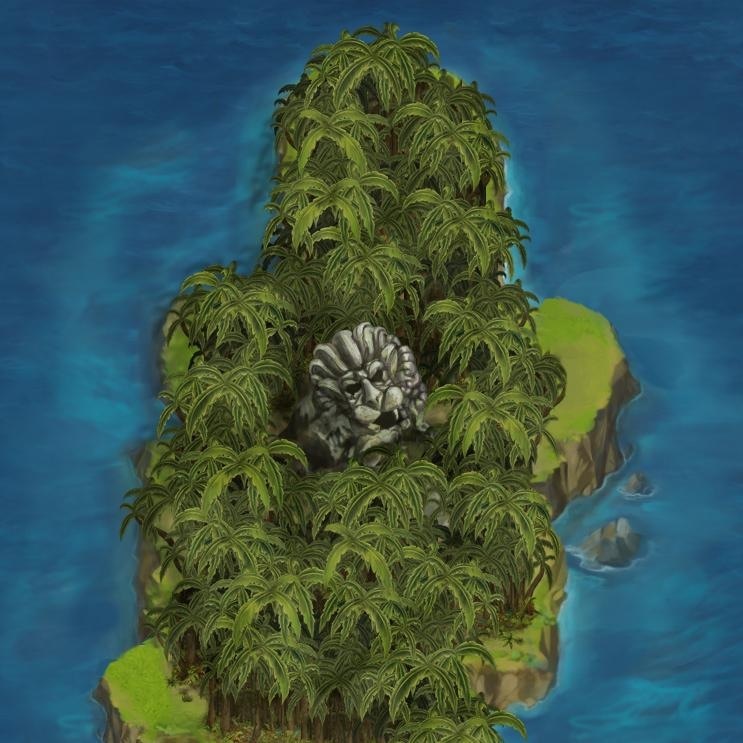 Had boats been kept in the game, it would have been trivial to at least sail up to each island and grab some screenshots…but, alas, Mythic removed that mode of travel from the game some time between the alpha and the iOS soft-launch. 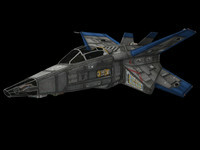 There's also been a lot of speculation about what specific fighter is pictured here. My money's on the Dralthi VII - check out the oval pods under the "roll bar" - it's a pretty close match! What do you think? AD was spending some leisure time perusing the data tre files from Wing Commander 3 when he stumbled upon an interesting easter egg! His hacking revealed a set of alternate spoof credits for the game, and there's more in-jokes in there than you can shake a stick at. One famous example is the callsign of Prem "Wipeout" Krishnan who earned his name after inadvertently deleting Strike Commander's source code in progress! It doesn't appear that there's a way to display this text in WC3 itself, but you can find the full secret credits here. 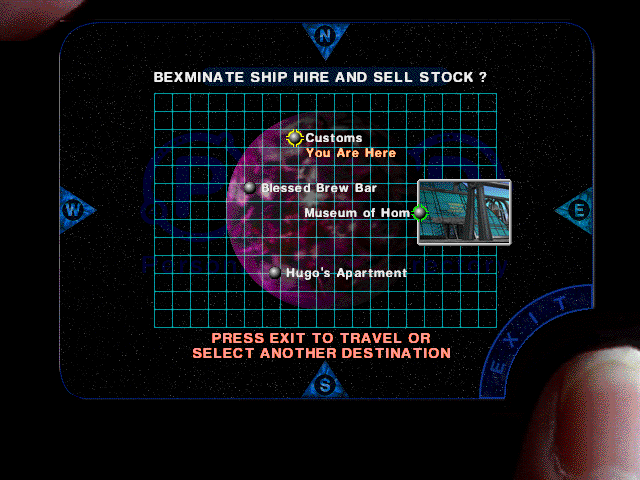 Wing Commander 4 also includes funky credits, which can actually be accessed in game from the main terminal. 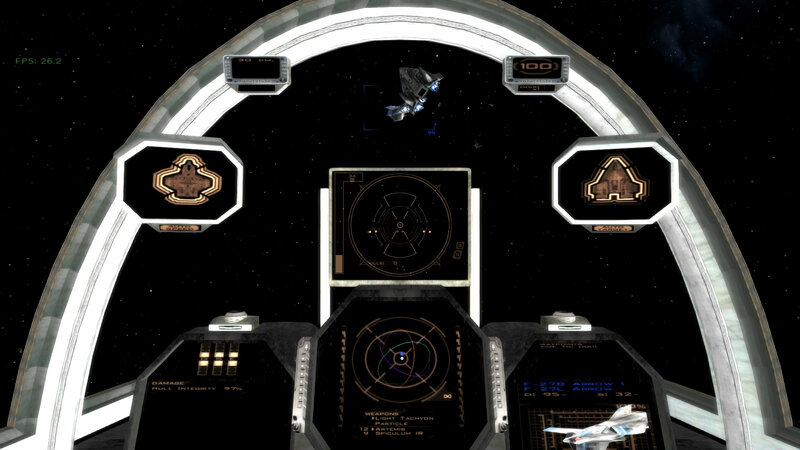 Some time ago Ilanin finished documenting his playthrough of Wing Commander 3 and Standoff, and the entire, massive thing has now been included in the Let's Play Archive for posterity. Each elaborate entry includes story commentary, screenshots, gameplay footage and background information on ships, characters and events. Check them out here! We've previously reported that the Let's Play website also carries excellent entries for Wing Commander 1 & 2 and Wing Commander: Prophecy. Belated Happy Birthday, CIC. As a rather late present, I finally got around to getting my Wing Commander: Standoff and Wing Commander III Let's Plays archived (to be fair, I submitted them before the birthday, but baldurk uploads at a rate of one per day, and there's a queue). Electronic Arts has published a Where Are They Now? 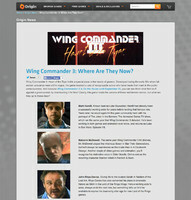 feature on the actors of Wing Commander 3. 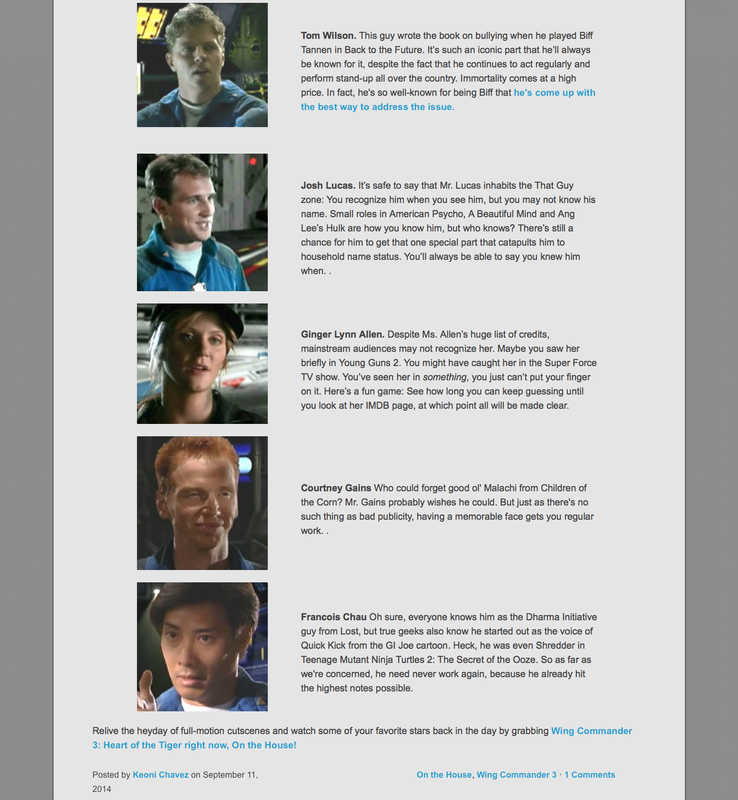 It doesn't actually give you as much information as simply browsing all of the actors' pages from IMDB would, but it's a little bit amazing that EA's Origin is publishing articles on The Heart of the Tiger in 2014. It would have been hard to imagine such a thing half a dozen years ago. Although we know this kind of recent news and activity isn't necessarily what Wingnuts have been hoping for, we find it encouraging that EA and other companies are at least showing an interest in the series again after a number of quiet years. If you haven't done so already, be sure to grab WC3 On The House by this coming Tuesday! Wing Commander 3: Heart of the Tiger holds a special place in the hearts of gamers. Developed during the early 90s when full-motion cutscenes were still in vogue, the game boasted a cast of recognizable actors who have made their mark in the public consciousness. 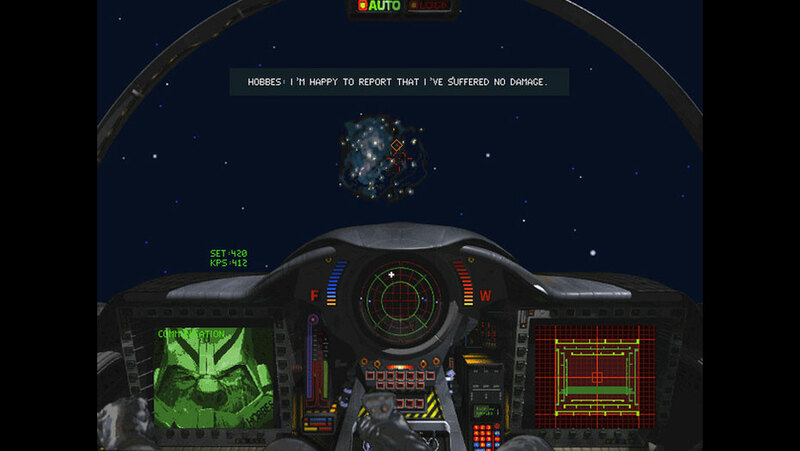 And because Wing Commander 3 is On the House until September 16, you can see them strut their stuff against a green screen by downloading it for free! Clearly, this game made the careers of these well-known names, but what are they up to these days? We do indeed currently hold the license of Wing Commander. We first contacted EA about the WC brand in the spring of 2012, long before the initial announcement of products like Star Citizen. 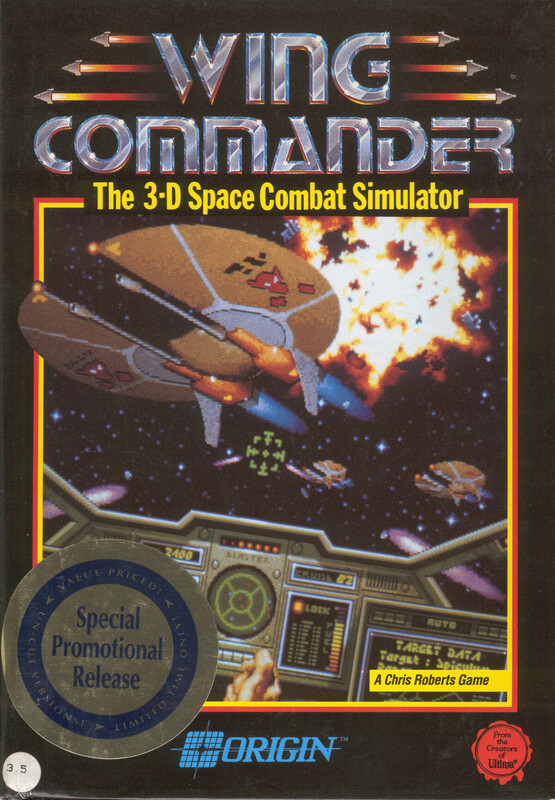 We approached EA because we had a deep love for the space combat genre and Wing Commander was right there alongside MechWarrior as our most beloved franchises we grew up with. In short at the time we thought we were going to be the ones taking that big initial risk to try and bring space shooters back. Over the course of the next 18 months a significant amount changed – Star Citizen was announced, and by Late 2013 we found ourselves in possession of an exclusive license to Wing Commander and assembling a small team to craft a new experience. We spent six months developing, designing, and working on a marketing video with help from outsourcing partners. As we approached our reveal date, there was a moment of pause when we started to reflect on the brand, and design concepts. We reached a pivotal moment when some of our best design ideas were being pushed to the side as they just didn’t fit within the constraints of a WC game. 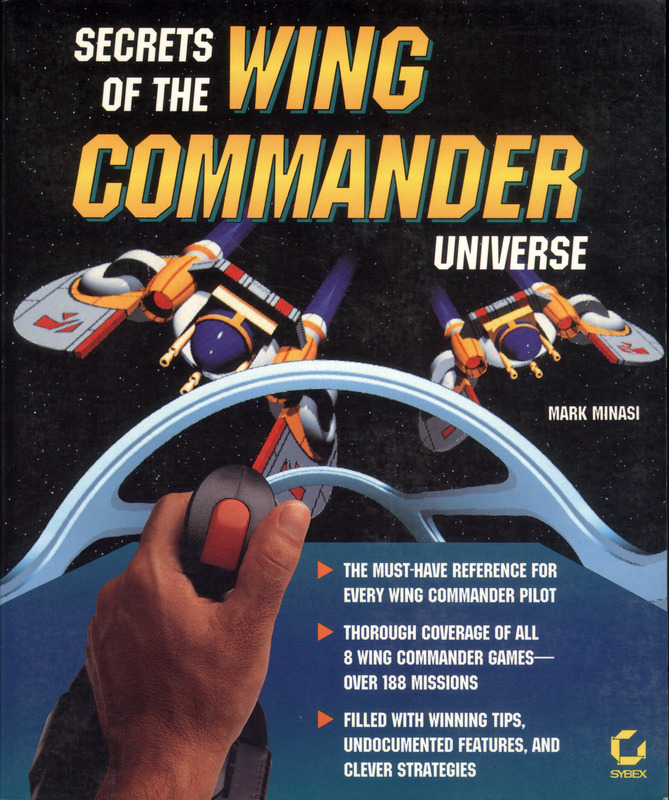 We looked carefully at what our WCO product was, looked at other competing products, and decided that we needed to move away from the Wing Commander universe. It was a tough choice, as we have a deep love and respect for the brand. It became clear that our very best and original game idea was contained within all of the concepts that were pushed aside for our WC product. The concept for Transverse was born from a single thought, and inspired by all those unused ideas. 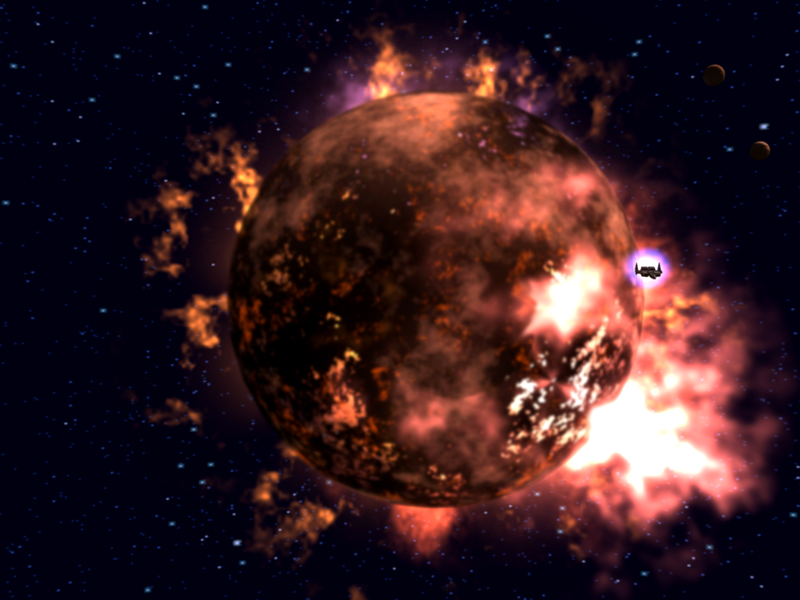 In the end we realized we should be making our best idea and in doing so we found a corner of the spacesim genre that would make us stand out. In doing so we would also be providing Star Citizen with the respect it deserves and what it represents to their customers. Their game's art assets also match the story. Their reveal trailer includes Dralthi-style enemies and concept art with familiar commodities like Dart DF and "Javeline" HS missiles. A few pieces to the puzzle are still missing. On the face of it, it would appear both admirable and shocking that the company has such faith in their concept that they would be willing to forego Wing Commander branding that had already been negotiated. It's a somewhat ironic situation coming just weeks after the exact opposite happened (a Hollywood proposal based around Wing Commander that lacked any rights to the name). 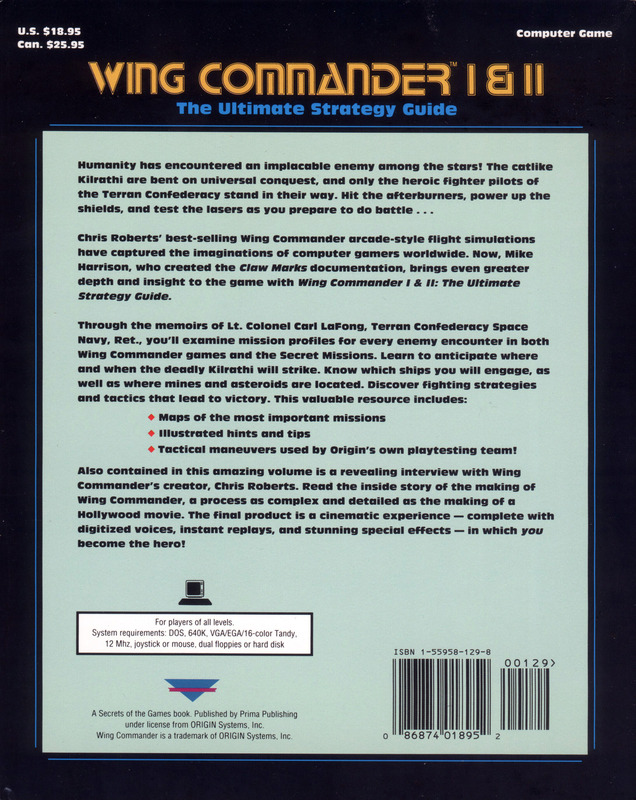 It's also not clear exactly how this 'Wing Commander license' might apply - the spectrum ranges from some sort of ownership of the brand to time-limited ability to create free to play MMOs on the PC. We can just confirm at this time that they've had some dealings with EA. 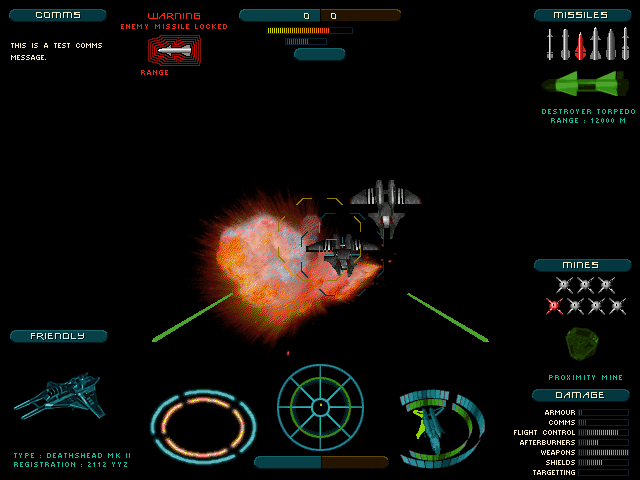 For comparison, Destination Software licensed the ability to create Wing Commander games solely for the Game Boy Advance in the early 2000s, which actually resulted in an impressive Prophecy adaptation. 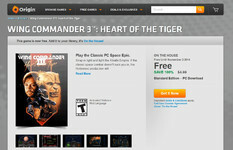 It's also clear that EA still has a connection to the series, as they are currently giving away WC3 On The House. 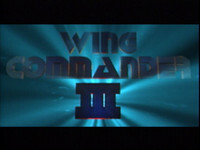 Additionally, Chris Roberts regains the film distribution rights to Wing Commander soon. 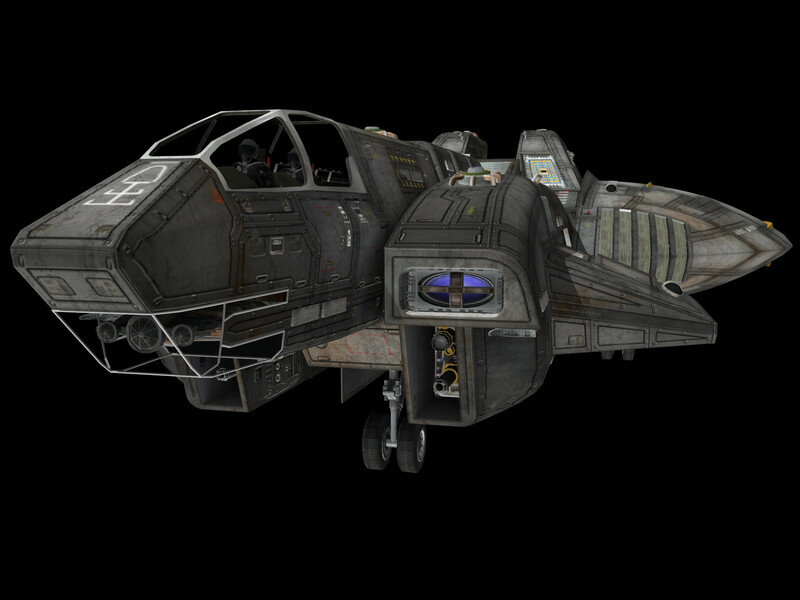 There's been quite a backlash towards Transverse from backers of MechWarrior Online. 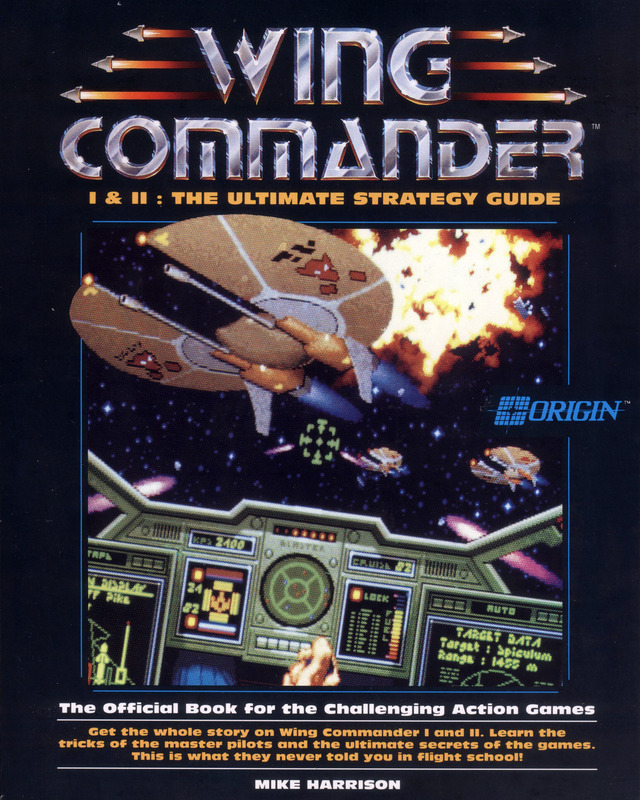 While the CIC would keep an open mind and judge any new Wing Commander game on its own merits, it at least is nice to have avoided some of the acrimony that's currently raging. 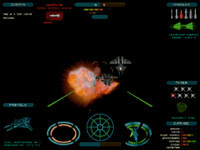 Perhaps if PGI could redeem itself in front of its fans by faithfully executing on Transverse, a future Wing Commander game they make would get a much better reception from all quarters. 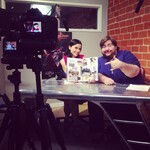 No matter where the next Wing Commander product comes from, we'll be here to report the news! Klavs has another Kilrathi ship up his sleeve, and this one's a fierce fighter! 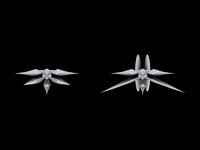 The Hhriss, as it appeared in The Secret Missions 2 alongside the Snakeir, is a very predatory design shaped around agile wings and powerful guns. Klavs has done a great job accenting the design with color and stitching together armor plates to give the ship an especially tough look. He's also written a fictional glimpse into the thoughts of a Varni that would explain their absence beyond Crusade. The Hhriss will not darken your skies because we corrupted them. A few cycles is all it will take. Their strength will crumble to dust, their power will turn to bitter ash. Their structures will not hold shape. Eventually, the Kilrathi will know the reasons why. We will not survive. We pray that you will find this message. That a million years from now you might finally learn the terrible price for this small, unknown victory. That you might remember us. The final gasp of the Varni was one of defiance. We pray it was not in vain. -Valar Nongunongu Vlarharris'nor'tkloke' een'w'hatah'k'zltat, last Scientist of the Varni. 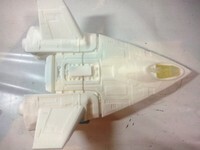 LOAF was doing some archeological digging the other day and found some nifty pieces of Wing Commander Movie history. 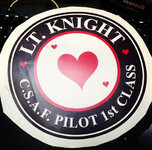 The first is a large nose art decal for Knight's ship. Perhaps as a Broadsword pilot, he never needed his Rapier customized? 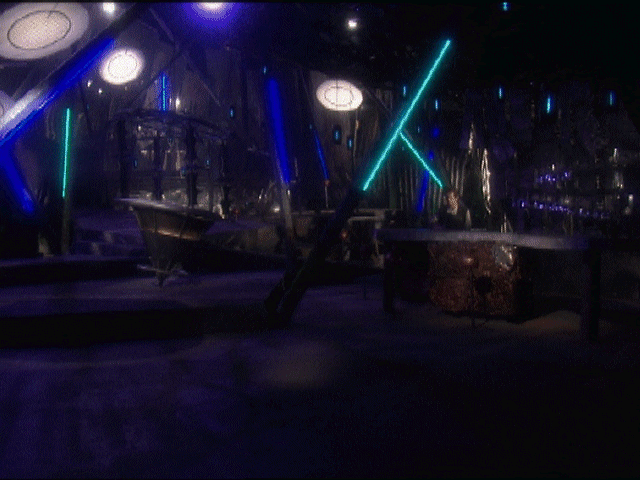 There are also several Kilrathi kill markers. These finally satisfy a curiosity posed on the CIC Forums nearly eight years ago! Check out the images from the film below to see how they looked during production. Kilrathi kill markers, found in a box at work! 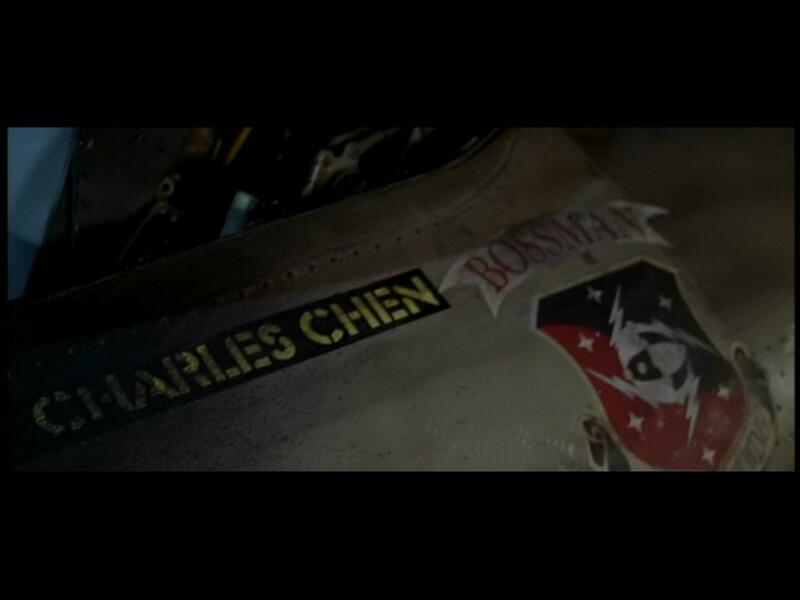 Interesting Wing Commander movie nose art! At 1 pm PDT, Piranha Games launched the site for their new online sci-fi game Transverse. Set in the 24th Century, where humans have moved beyond Sol system into the fringes of space, players work together, or at odds, to advance their lot in the universe. Many of the game's aspects are strikingly similar to Star Citizen, including a crowdfunding campaign with stretch goals to finance the operation. Synthetic physical forms allow humans to pursue an existence in space and have opened the door to immortality. This future is not without danger and the very substance of humanity will be tested in the distant regions of space known as the fringe. 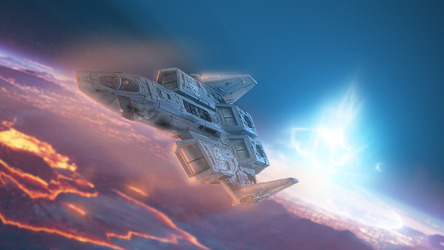 Out in the Fringe, factions of humanity race to explore space, claim resources, and create new technologies to tip the balance of power; with this race for new power, all of humanity is plagued by conflict with the remnants. Out in the lawlessness of the Fringe humanity faces its greatest enemy: itself. Piranha Games is currently counting down to the announcement of their next project. 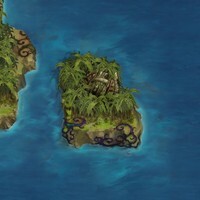 The company is currently best known as the developer behind Mech Warrior Online. After some initial growing pains leading up to MWO's launch, the game has been credited with doing a good job of rejuvenating the classic sim franchise that was idled for years. 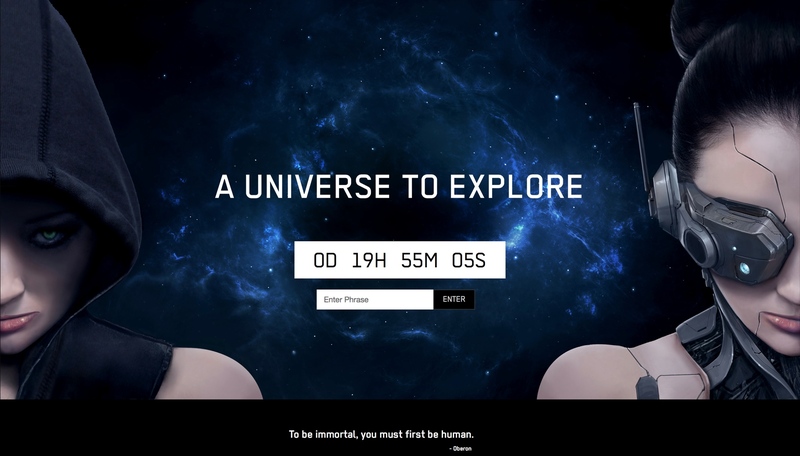 They've created an interesting teaser page with a countdown at AUniverseToExplore.com. INCGamers has reported that typing "I AM HUMAN" in the site's text box will lead to a second page with information from the team's creative director. 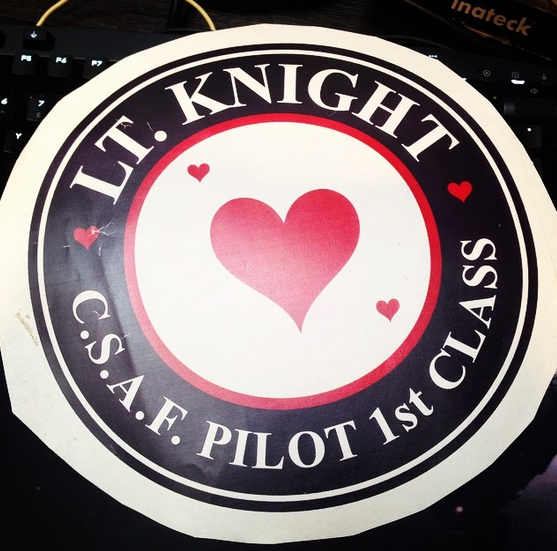 A pilot registration is already live that will grant players an exclusive item at the game's launch. Sounds pretty interesting! Check back around noon US Pacific Time to see what's up. Let me start by introducing myself. 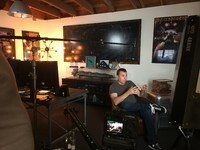 My name is Bryan Ekman, Creative Director and Co-Founder of Piranha Games. 14 years ago I founded Piranha Games with my business partner Russ Bullock to build exciting and engaging games that we love to play. Piranha is best known for our latest endeavor — MechWarrior Online, an online free-to-play giant robot combat game. MechWarrior Online's incredibly successful Founder's Program proved that we can work directly with our backers to help build a game for the community. On Sep 9th, 2014 at 12:00PM PDT we invite you to join us for the reveal of our next project. It's a big one, it's going to be the largest production ever undertaken here at Piranha, and we want YOU to be part of it. It's epic, it's online, it's sci-fi. I look forward to the future, and our journey to the stars. 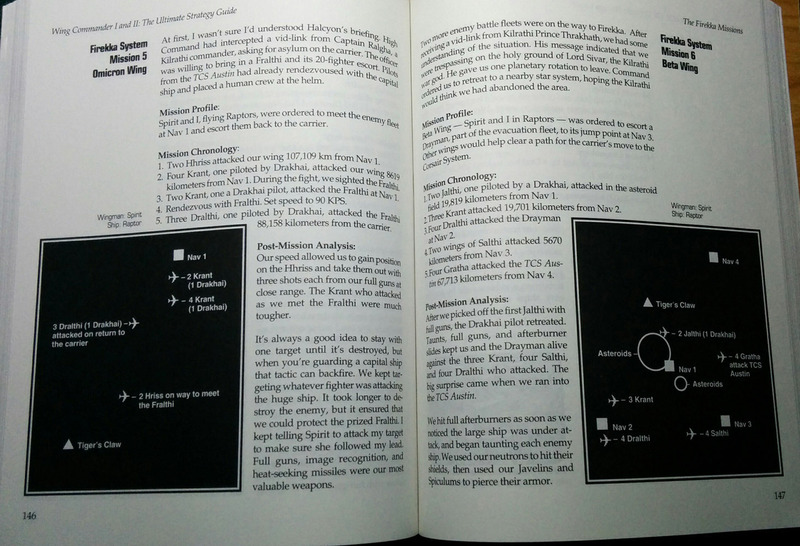 This is the first of a series of updates in which we take a closer look at the various Wing Commander game guides and hint books. 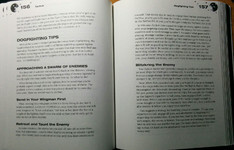 Mike Harrison's Ultimate Strategy Guide is made up of two sections. Part I, "The Memoirs of Lieutenant Colonel Carl T. LaFong", is written from an in-universe perspective and includes mission walkthroughs as well as commentary on storyline events. 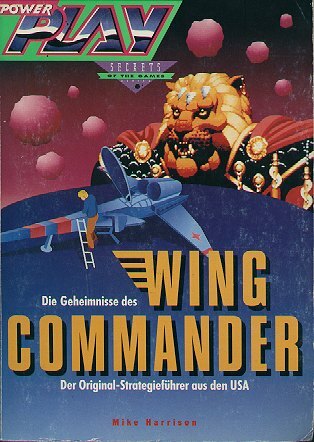 It covers Wing Commander 1, the Secret Missions add-ons and Wing Commander 2, but not the Special Operations mission packs. It's a pleasure to read, even if you're not currently playing through the games. 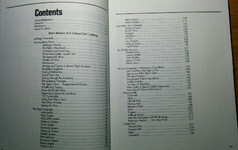 Part II has extensive making-of material, with interviews and anecdotes from many of the game's designers, including Chris Roberts, Dallas Snell and Denis Loubet. 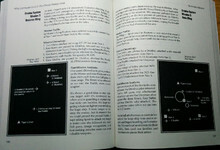 This guide was also released in Germany, omitting Part II and featuring radically different covert art. It's not too difficult to find a copy that's in good condition on eBay. While the GOG releases of WC3, WC4 and Prophecy include digital copies of their respective official guides, this one is missing from their WC1/WC2 bundle, possibly due to rights issues. Pix has also posted an excellent writeup here. WC3 'On The House' A Sign Of More To Come? 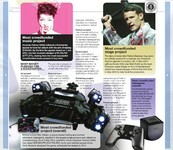 MCV has interviewed EA's Peter Moore in regards to their recently announced gaming service, EA Access. He explains that the idea was inspired by other media companies' success innovating in digital markets. The ongoing WC3 giveaway is also cited as part of their new strategy and a successful way to engage with gamers. 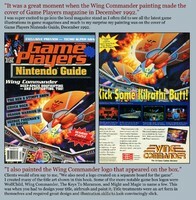 It's nice to see the COO of Electronic Arts keeping Wing Commander in mind! "We are trying to learn lessons from other media industries of how you can give options to people to, quite frankly, experience more games...I am a Spotify Premium subscriber, and because I pay a fee for 'all you can eat', I get to listen to music that I ordinarily wouldn't. And it will be the same for games; seeing what your friends are playing and giving it a go because you have something like EA Access." "We do something called 'On the house', where we give a game away for free. We did that with Wing Commander. There are gamers that won't have been born when that was out and we're throwing it out there as a way of discovering new experiences." 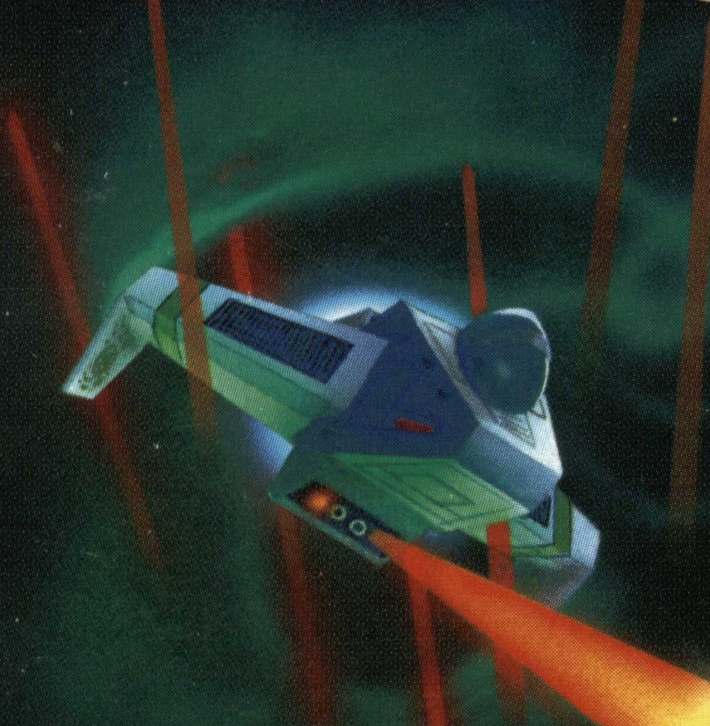 Wing Commander composer George Oldziey is still working hard to prepare for the live recording with a full orchestra, but in the meantime he's got some cool news for fans who live in or near Austin, Texas. The Civic Orchestra will perform George's Wing Commander Suite on Sunday, September 28. Tickets are $12 or less (attendance is free under 18) and can be booked here. If you missed the big Fourth of July event, this is your second chance to hear Wing Commander music performed by a live orchestra! Greetings all! Just to let you all know that I'm a little more than 2/3 of the way through orchestrating all the music that will be recorded October 31st in Bratislava! So I'm right on schedule, and VERY much looking forward to hearing the music finally played (and recorded) by a great orchestra! ScoobyDoo has remade his Talon model with a number of improved features. 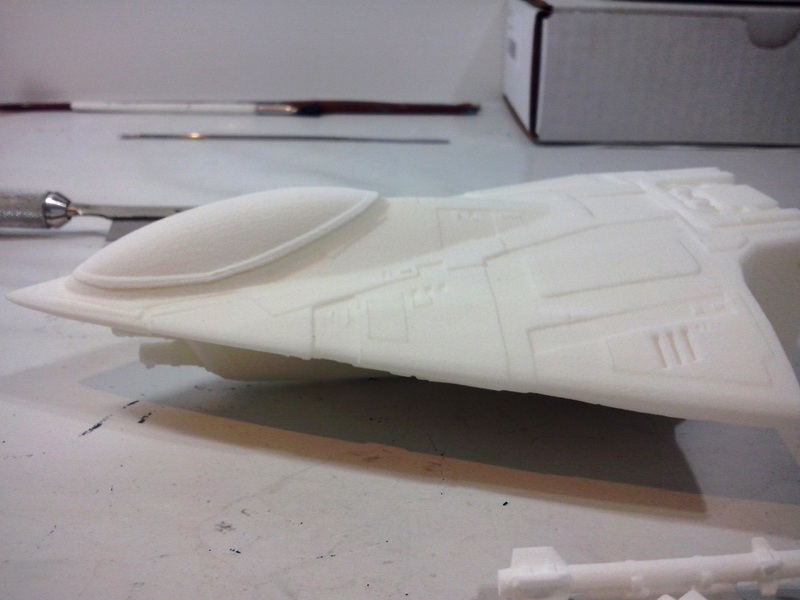 Right off the bat, the hull plating is sharper and more detailed. There are some new physical additions to the spaceframe, and the nose radar is enclosed in an interesting transparent structure. 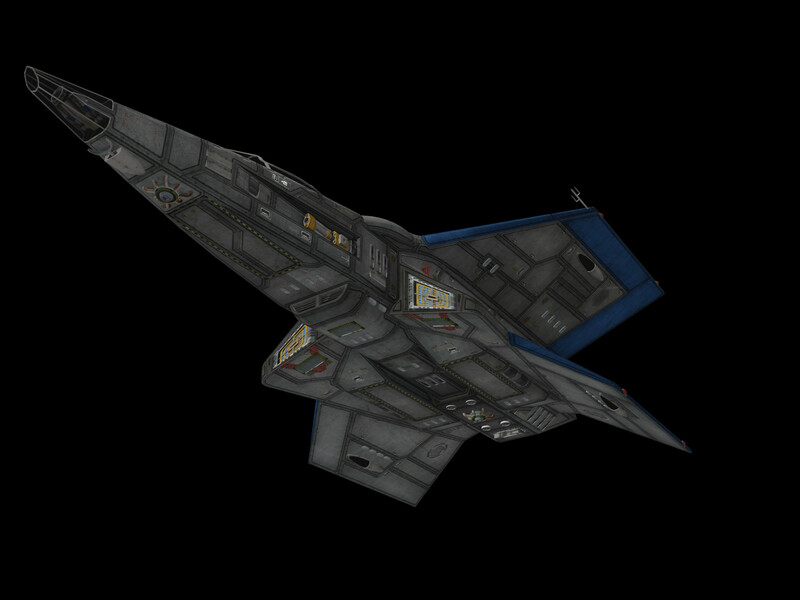 An internal cockpit has also been created this time around to facilitate a better flying experience (n the Freespace engine). 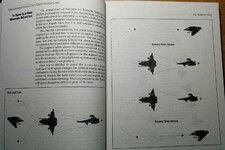 It includes a really neat heads-up module with integrated gunsight. 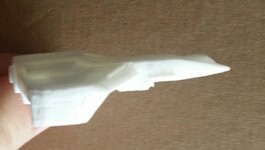 Talon, much better than my original one. Also the cockpit display has been improved. 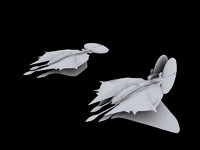 Dark Sentinel has added a Devil Ray to work alongside his new Manta model. Although both designs still sport untextured surfaces, the aggressive lines of the heavier craft should send a little shiver down the spine of Prophecy players. Just be glad it's not shooting any green plasma yet! 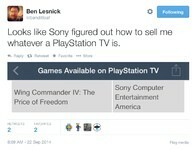 Let Dark Sentinel know what you think over at the CIC Forums. Now the yellow sis' as well. No textures. 2648 and 3796 polies vs. 286 and 354. Yeah, I had to apply some fixes to Manta in order to ease my life when I'll be UVing and texturing that. Also: I had to make Devil Ray 0.5 meter longer 'cause... well, heresy. I needed longer hull-to-engine transition section to ease UVing and make this ship modular without need to remap too much. 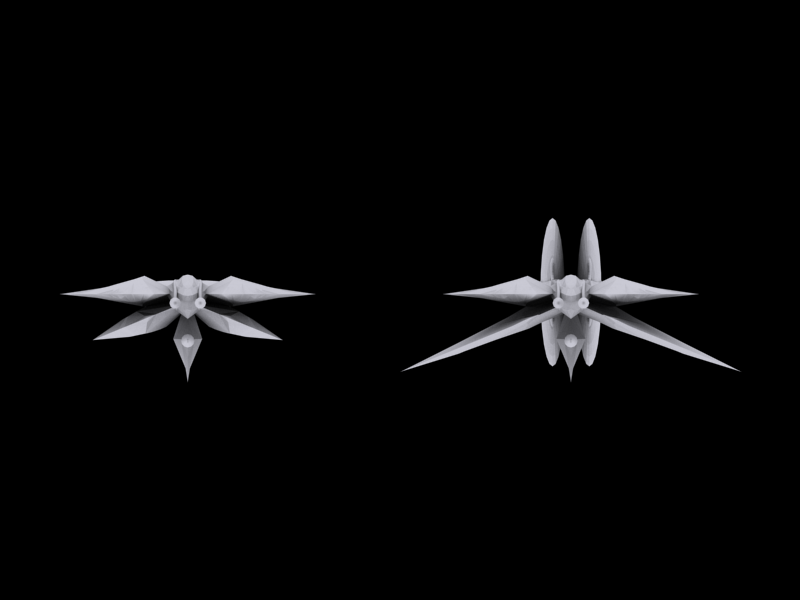 Not that obvious in renders, though. Klavs has further branched out from his fleet renders and on to space stations. This is probably the single most elaborate recreation of WC2's Caernarvon Station ever made. Although its backwater position might make someone question why there's so much activity, the docked Exeter and flurry of other nearby ships really brings the scene to life. Looks like it'll be an interesting place for Tales of the Claw to visit! If there's a bright center to this universe, you're on the station that it's furthest from! Artist Michael Winterbauer has self-published a free book with stories about his life in the game cover art business. 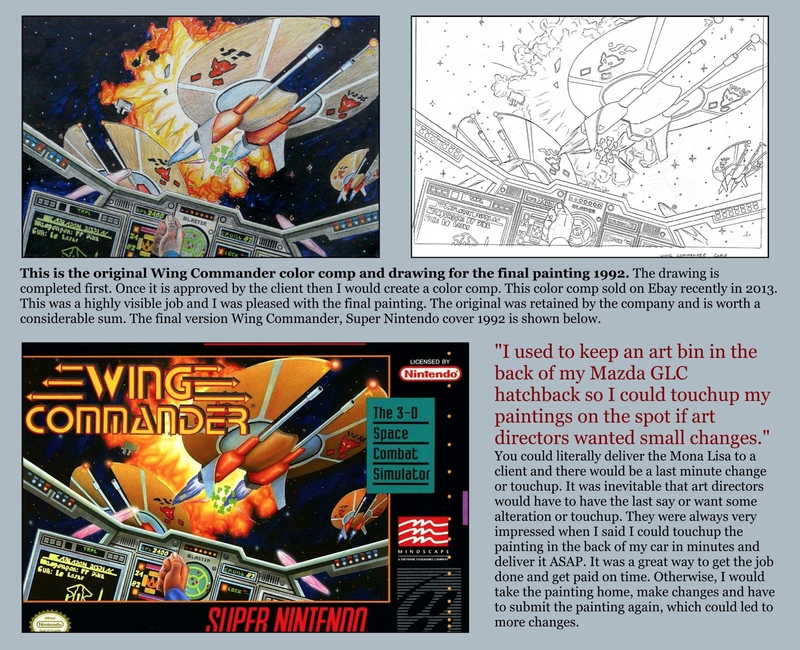 While the standard Wing Commander box in the early '90s was made from preliminary game assets, the Super Nintendo edition of WC1 has a different setup. 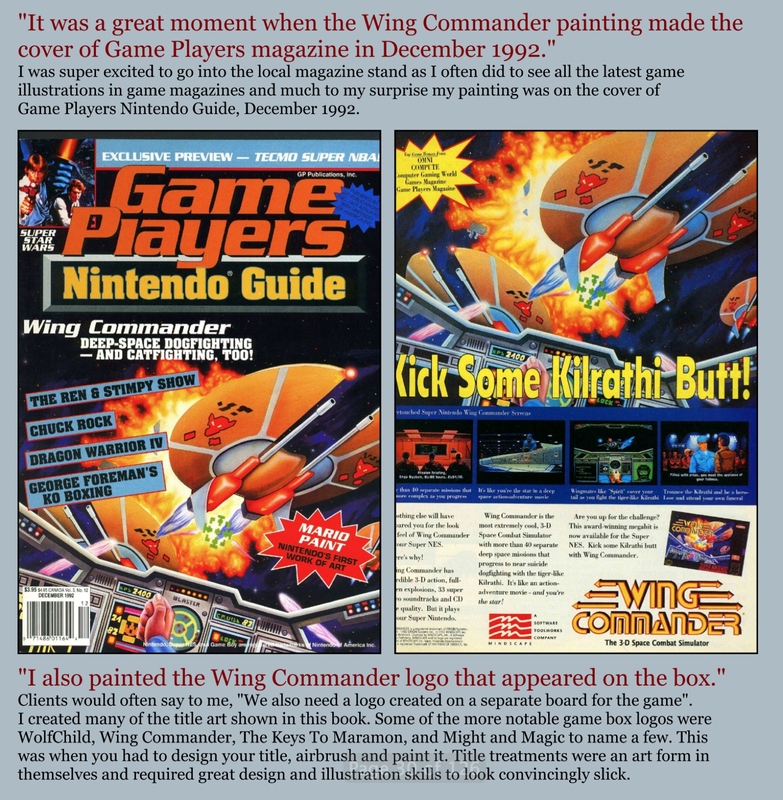 Many fans may not even realize that the Dralthi are flipped between the DOS and hand-painted SNES versions, and there are unique visual flairs added to the console edition created by Mr. Winterbauer. He even redid the WC logo! His take is a fun animated variant of the original that also showed up in magazines to promote and advertise the game. You can download the complete "Confessions of an Art Junkie" here (90 megabyte PDF). 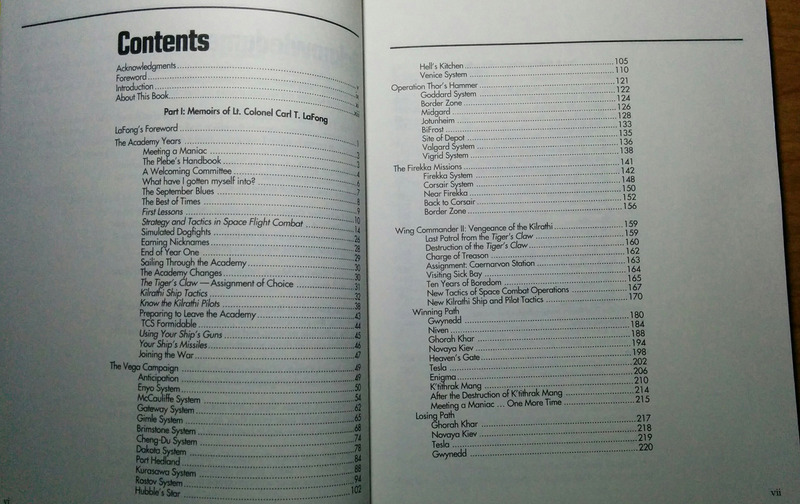 Pages 26-28 on Wing Commander are below. Retro also published an interview with Michael recently. Both the Q&A and the self-published volume are fascinating reads for anyone interested in breaking into the industry or learning about its old school roots. RETRO: Which game genres do you most like to work with? 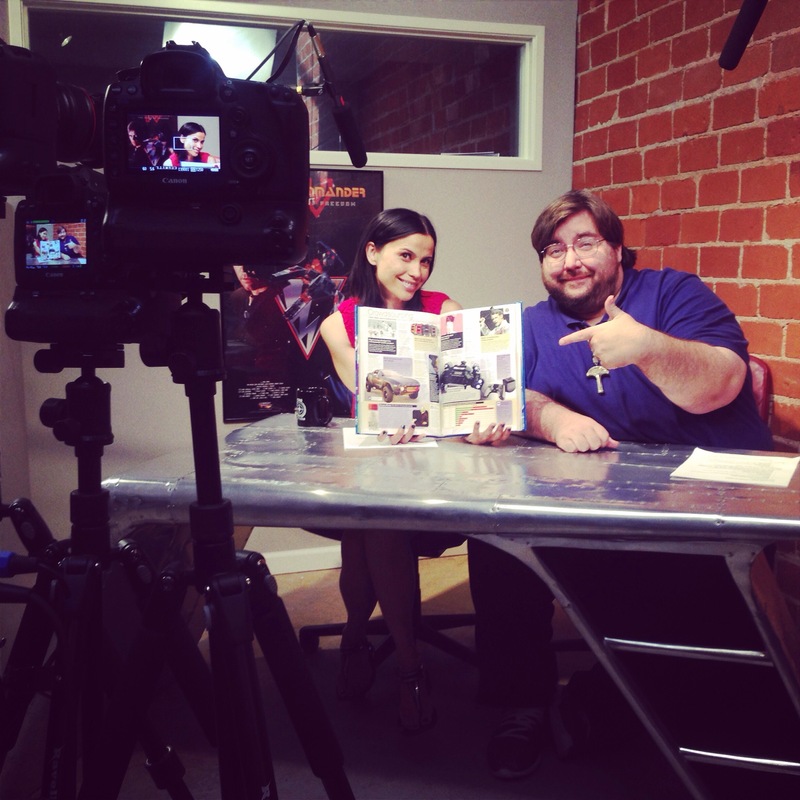 MW: My art is heroic, adventurous, and fun. 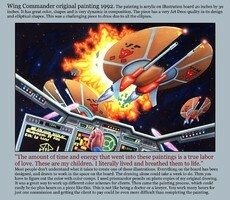 Fantasy role-playing and science fiction games lend themselves nicely to my style of art. Games that had heroes, warriors, creatures, dragons, castles, and mythical lands worked well with my cover art. My art relies heavily on exciting and eye-catching subject matter. If the viewer isn’t intrigued, they will find the painting boring, no matter how beautifully it is painted. Before starting any piece, I conceptually think of how to portray the subject matter in a clever and exciting design that engages the viewer. RETRO: How would you describe the recent resurgence in popularity for your work? MW: With so much art being created by computers, I have seen an increased interest in hand-painted classic game art. It has a unique place in art history because it was heavily used in the 80′s and early 90′s to portray and advertise computer games.